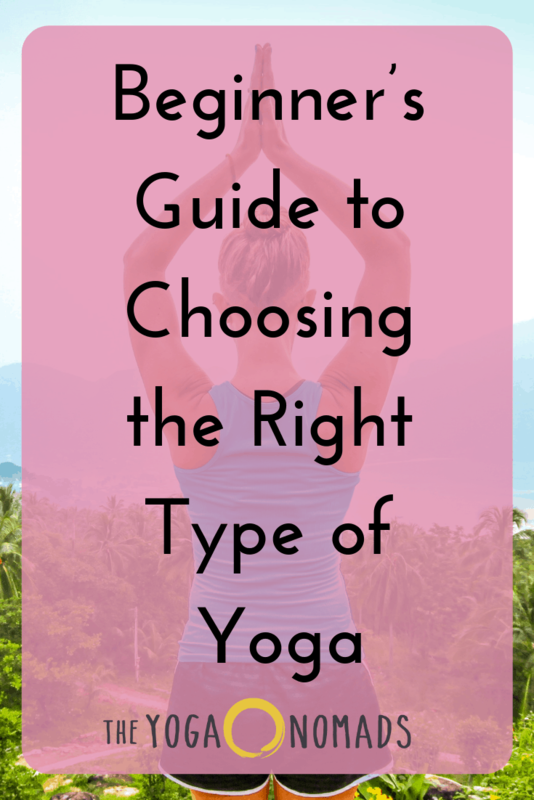 If you’re just starting to embark on your yoga journey, it can be really confusing trying to decide what type of class is best for you. 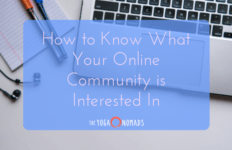 Deciding between some of the more traditional styles and then the influx of countless hybrid yoga practices, no wonder it’s a confusing time! 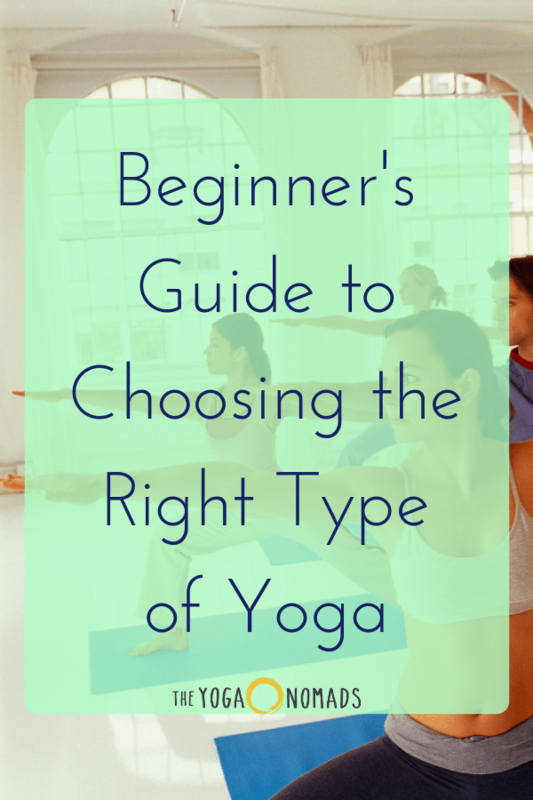 This beginner’s guide to choosing the right type of yoga (for you!) is intended to help clear up that confusion! 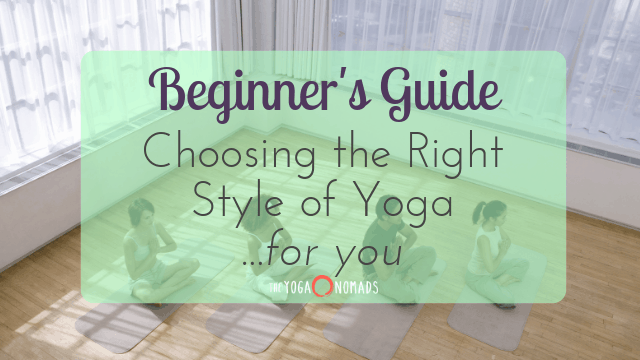 Keep scrolling down to learn about the different styles of yoga and feel out which style resonates most with you. The majority of studios will have a hatha yoga class on their schedule. Most of the yoga taught in the United States is hatha yoga, but when you see this on the schedule it typically refers to a class where you will explore holding postures and working with the breath to help you leave class feeling longer, looser, and more centered in your mind, body, and spirit. A variation on this class is hatha flow, a style that I teach. 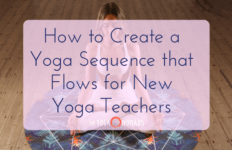 It incorporates the idea of flow into a hatha class, so the entire class is focused on holding poses there may be some flow motion linked with breath incorporated. A hatha style of class is great for both beginners and advanced practitioners. It will help you develop or deepen your understanding of different postures, while moving at a moderate pace and giving you a great stretch. Kundalini yoga is a completely different style of yoga than what you normally see when you go to a yoga class. If you’re a seasoned yogi but have never done a Kundalini style class, you’ll still feel lost when you go to a Kundalini class — that’s how different they are! Kundalini is a very spiritual yoga style taught by the famous Yogi Bhajan centered around chanting and meditation. The word Kundalini means “a spiritual energy or life force located at the base of the spine,” and classes seek to awaken this energy, often spoken of as a snake, throughout the practice. Don’t be fooled, though, these classes are often incredibly physically intense– try holding your arms up for 11 minutes chanting and tell me that’s not a workout! This class is great for anyone seeking more spiritual depth in their yoga practice. You’ll typically feel a very tangible energy shift by the end of these classes, something you don’t normally feel in other styles of yoga. I wouldn’t recommend trying this class out as a beginner, as they can be physically challenging, unless you already have a fairly high level of strength from other types of fitness. Restorative yoga is a meditative practice that uses props like blocks, straps, sandbags, bolsters, and blankets to encourage a passive release of mind and body tension. This style works to release deep tension passively, without active stretch. Restorative yoga is perfect for beginners, and I think it’s very important for all yogis to incorporate into their class schedules! If you’re looking for a yoga class to help you access a meditative state and release stress without breaking a sweat, this is the class for you. It’s particularly good for those of us with injuries and chronic pain as well. Yin yoga is a practice that focuses on stretching your connective tissues (particularly the fascia) in order to strengthen and lengthen them. Poses are held for 3-5 minutes each and work with the energy meridians in your body as well as cultivating active stretch in your connective tissues to increase strength and flexibility, improve joint mobility, improve posture, and release trauma in the body. If you’re looking for a meditative, slow practice that will help stretch your mind and body, yin yoga is the practice for you! It’s fairly beginner-friendly physically, but mentally it can be quite a challenge to sit in stillness with yourself for so long if you’re not used to doing so. The word vinyasa loosely translates to “”to place in a special way,” referring to a sequence of yoga postures, or asanas. Vinyasa classes are focused on movement and link poses together fluidly. You’ll move your body in time with your breath, often in a physically challenging sequence that will definitely make you break a sweat. This style class is for you if you’re looking for an active practice to help you increase your strength and test your body’s physical limits. Many studios have classes that are a hybrid of slower styles and flow. These classes may be called Yinyasa (part yin, part vinyasa) or Flow & Restore (part vinyasa, part restorative). These types of classes typically start with an active flow style class where you’ll move and sweat, and gradually transition into a slow, grounded class with either a restorative practice or a yin practice. These hybrid classes are great for beginners and for anyone who wants a little of both: a nice sweat and a nice deep stretch to unwind and relax. Power yoga is an athletic, sweaty practice often done in a room heated around 90 or 95 degrees. You can think of this class as a workout with a lot of fluid movement (think vinyasa) and strengthening standing postures woven in. Power yoga is great for you if you’re an athletic person who loves to push themselves and compete with themselves. It’s definitely not the most beginner friendly class, so beginners beware! Iyengar yoga is a style of yoga developed and popularized by the famous yogi B.K.S. Iyengar. This class is focused on creating proper alignment in poses and uses props like blocks and straps to help you get there. 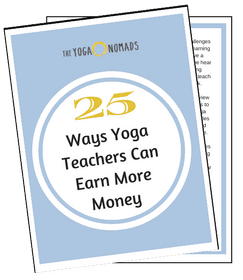 Restorative yoga, a very prop-based practice, actually stems from Iyengar yoga! There’s a lot of stillness and holding poses in Iyengar classes, rather than linking movement with breath. If you have an injury or different physical sensitivities, Iyengar will be a great class for you to check out. Iyengar teachers know their stuff when it comes to anatomy and will be able to help you practice safely. According to DoYouYoga, the ultimate purpose of an Ashtanga class is purification of the body and mind. It’s a very traditionally structured, physically demanding practice that will challenge your strength and flexibility. One of my first yoga teachers pointed out that Ashtanga was originally created to exhaust 12-year-old boys, so think about the level of energy 12-year-old boys have and what it physically takes to exhaust them. Exactly. 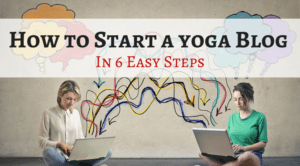 This style of yoga is really tough, so I’d definitely recommend that beginners try a gentler style of yoga before you wade your way into the pool of Ashtanga. And if you have sensitive joints, this practice may never be right for you. You will likely invert in this class, hanging upside down in the silks, which can be a truly blissful experience but can also be scary if it’s your first time! Some studios have an aerial foundations class or an aerial 101 class that is perfect for beginners to the silks. 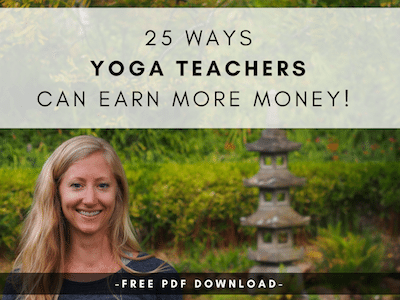 You can learn more about this style of yoga from Carmen Curtis, the founder of AiReal yoga, which is the only Yoga Alliance certified aerial yoga practice in the United States at the time of this publication. If you’re a brand new beginner to yoga, I’d recommend trying out a different style before bringing your practice into the silks. Hot yoga classes are typically vinyasa classes (see above!) done in a room heated anywhere from 95 to 104 degrees, making them a more intense version of the class. The heat allows you to loosen up your muscles and stretch more deeply, but it also makes the class more intense, especially if you’re not used to the heat. Beginners, I’d recommend trying out a different class (like an unheated vinyasa class) to find your footing before you branch into the world of heated yoga! 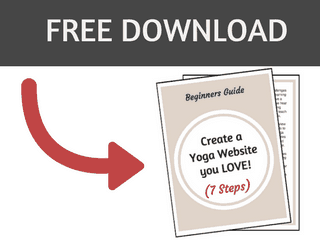 *Check out our Guide to Surviving Your First Yoga Class! Bikram yoga is a specific style of heated yoga. 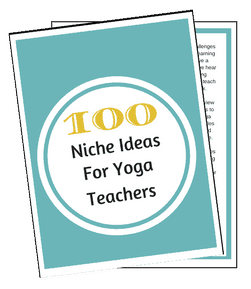 These classes work with 26 specific postures in a room heated to 104 degrees. Bikram classes are more hatha style than they are vinyasa style, and can be incredibly challenging due to the heat. 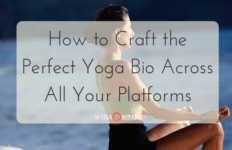 Check out this article from Yoga Six to learn more about the difference between hot yoga and Bikram yoga. 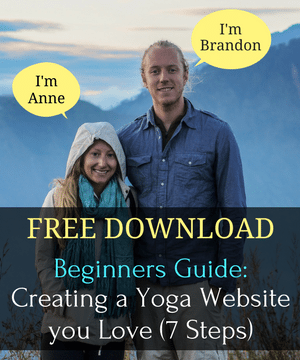 This style of yoga is perfect if you’re looking for a great workout or a detoxification for your body. But just like hot yoga, for beginners I recommend trying out unheated styles of yoga before you try out something like Bikram! What styles of yoga have you tried? What are your favorite styles?